Perhaps you have seen your favorite female artist adorning clothes made of fabric known as “African Print.” Solange Knowles, Alicia Keys, and Rihanna are among the fabulous women have all been spotted with these fabrics. Scroll through Lupita Nyong’o’s Instagram and you will see what I mean. As Beyonce graced us with her ‘Lemonade’ album, she made a show of a variety of beautiful African print clothing also known as Ankara fabric. Perhaps the one that’s most familiar is a stunning greenish brown gown from the visual album. As someone who is rooting for the recognition of African products worldwide, I am overjoyed by the fact that our fabrics are being recognized and solicited by many outside the continent, including A–listers. And no it is not called “African print” because “Africa is a country.” It is because it is a fabric of traditional prints used in many of the countries in Africa, most popularly in the western part of the continent. It is made by a combination of wax and dyes to make patterns, usually in energetic colors. 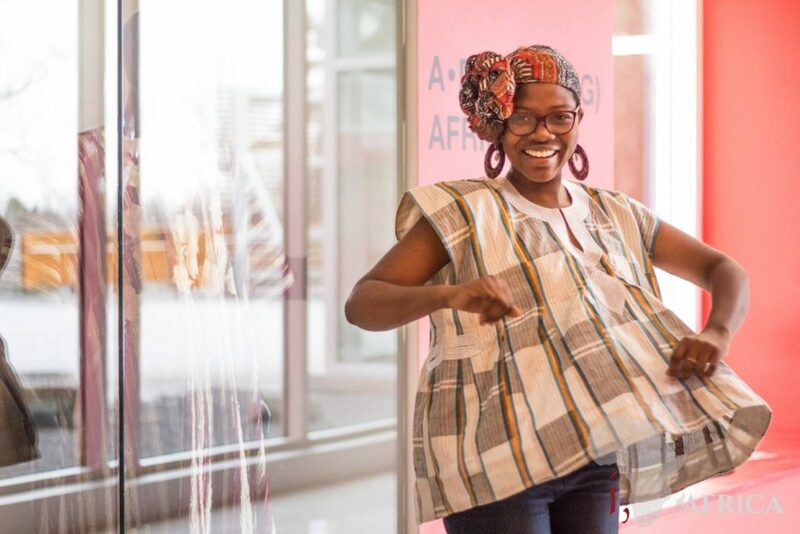 In my excitement about the increased recognition of African print clothing, here is an inside look into how Ghanaian women, in Ghana and abroad, are utilizing these fabrics for clothes. 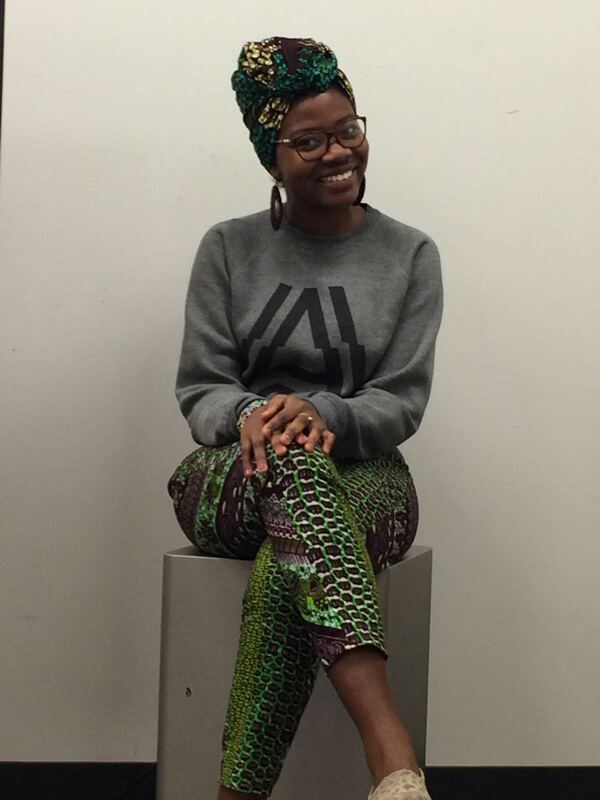 When I was younger, African print was considered more traditional clothing. Women used it to make an attire known as Kaba and slit. This was comprised of a long skirt and a fitting shirt. This was usually appreciated by older women rather than younger and were worn during formal events such as church services or weddings. However, as fashion trends seems to reoccur through generations, the youth have obtained some new found appreciation for kaba and slit and they adorn the attire as well. Of course, it would be a little uncomfortable to wear to classes. A young lady with an appreciation for our traditional kaba and slit. Model for this article: Janice Allotey. As Beyonce’s African print jacket in the album proves, African print clothing is being used for what we would consider modern fashion. 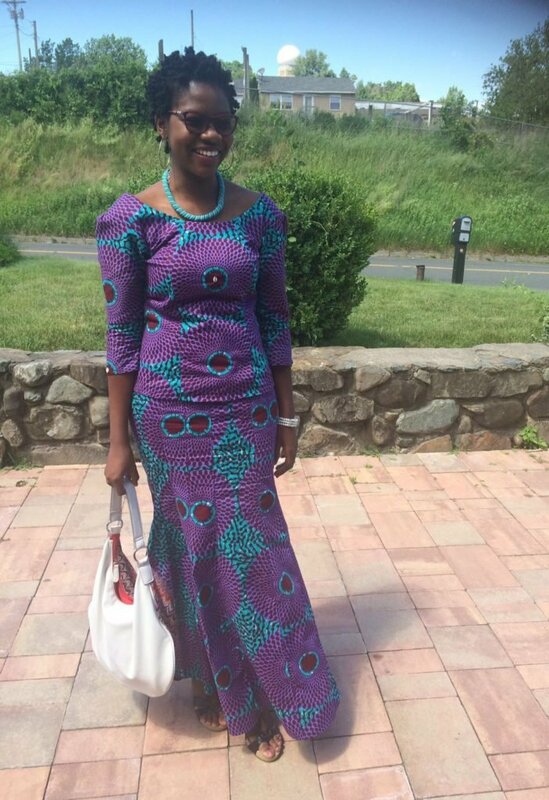 Only a few years back, it was very unlikely to see someone wearing African print fabric. Now you see it sewn into pants or stylish jackets. It can also be sewn into skirts, and paired with a normal cotton top, or onto a cardigan and paired with a dress. Who said these styles are for men only? Ghanaian clothing also comprises of some attires that were initially delegated as men’s clothing. But as always, women cannot be held back and many Ghanaian women have begun to wear the “batakari” which was once seen as a man’s outfit. Women usually pair it with a pair of jeans trousers or shorts. She is not held back. Adorning a batakari with a pair of jeans trousers. Model: Janice Allotey. Believe it or not, African print can be used in many ball gowns. 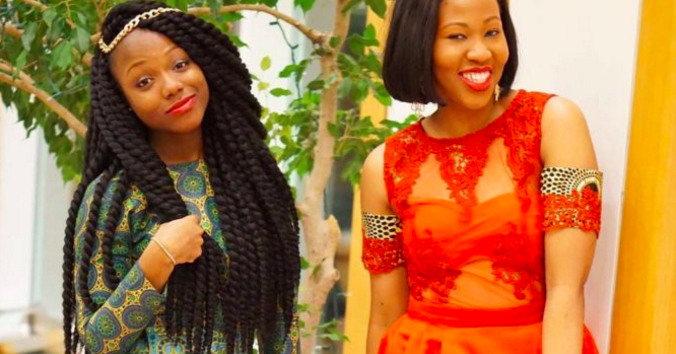 Google “African Print prom dresses” and you will see the number of prom dresses that went viral because they were made from African fabric. So if you’re looking for something for your prom, graduation dance, or even the red carpet (if you’re ever on one, haha) it’s definitely an option to consider! 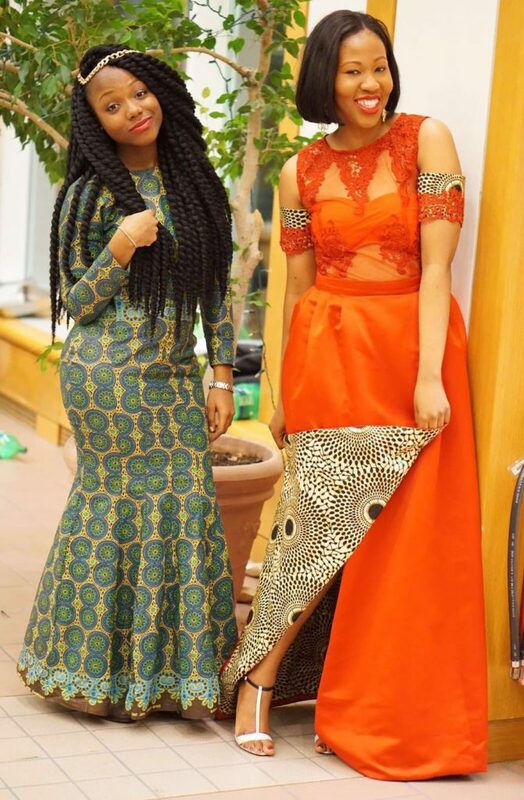 Two Ghanaian girls rocking African print at a formal banquet. Model: Naa A. and Nicole M.
This piece isn’t just to show the different styles of African clothing and print that are available in Ghana. I also invite everyone to try something new. The print isn’t restricted to Ghanaians or Africans or African-Americans. It can be used in a variety of outfits, and believe me – no one will be able to take their eyes off of you. If you’re looking for a head start, you can check out Zuvaa or Etsy. Simply type in “ankara” to find a variety of prints.